Well that’s pretty much a title I never thought I would write. My first foray playing International Travel Agent went pretty well for our big anniversary trip. 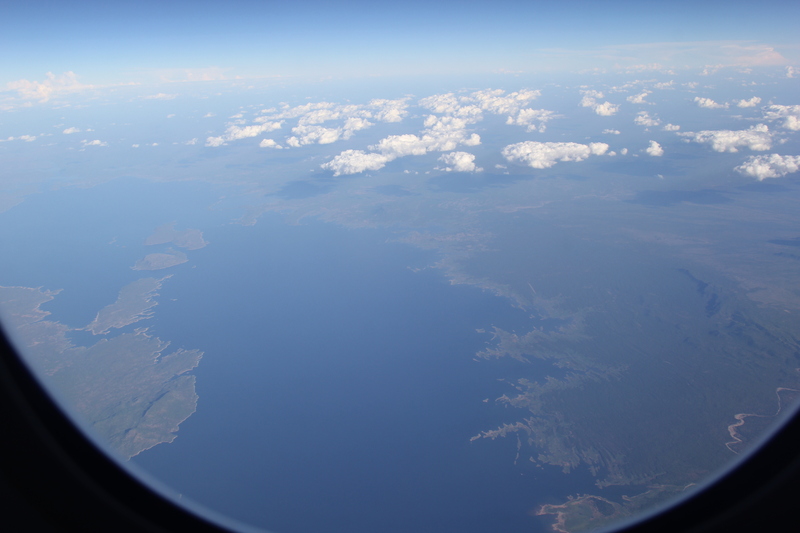 We splurged on the long flights by upgrading to business class, and stuck to coach for flights four hours and under. 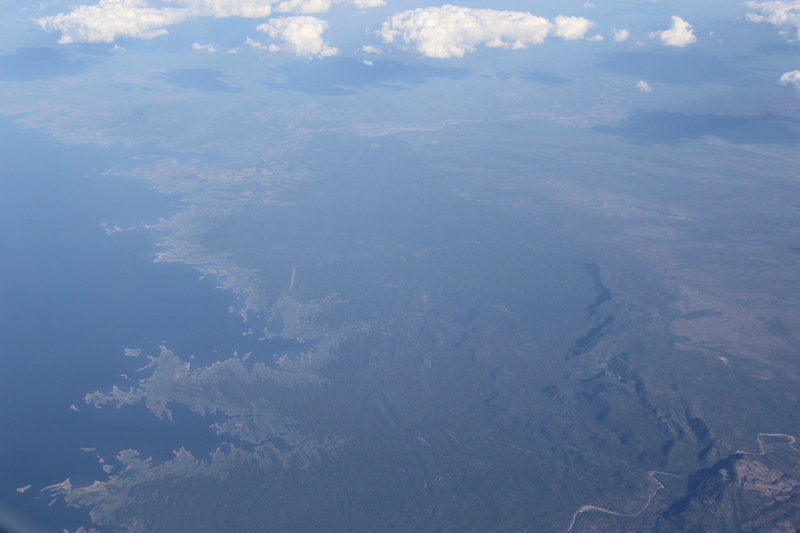 But I still tried finding decent fares even for the business class flights. 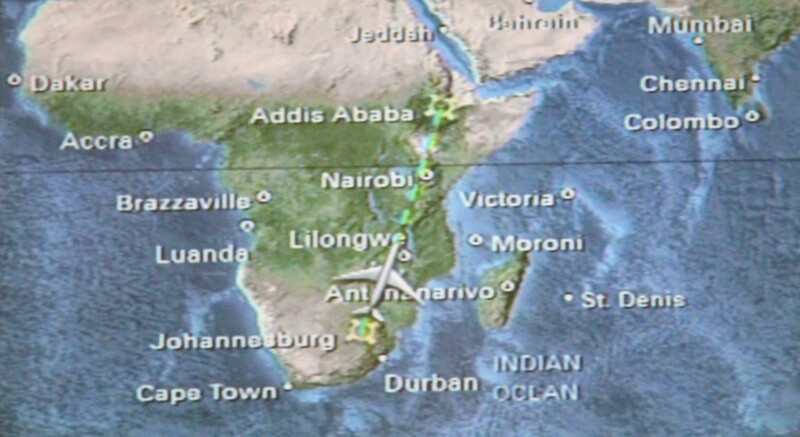 That meant flying Ethiopian Airlines for the first leg, which was an overnight flight from Johannesburg to Dubai, with a layover in Addis Ababa. 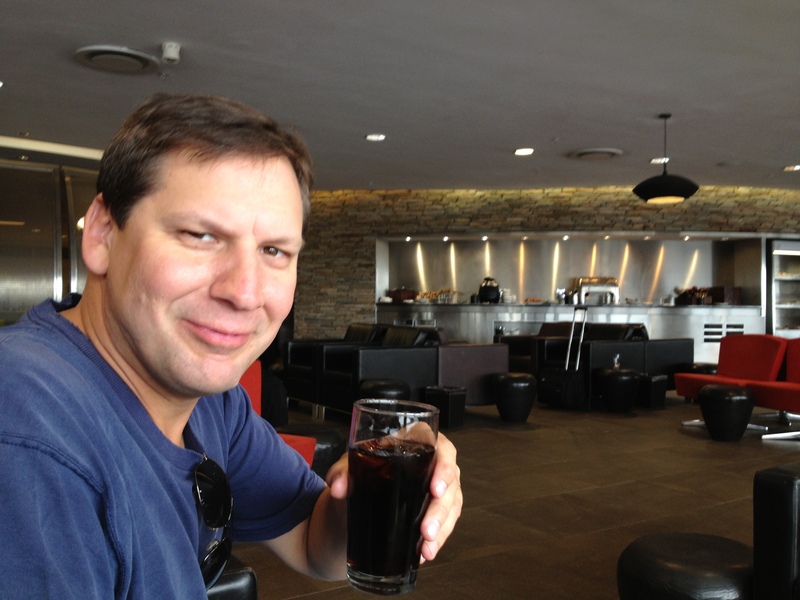 We felt so fancy because we got to use the South African Airways lounge in the O. R. Tambo International Airport in Johannesburg. 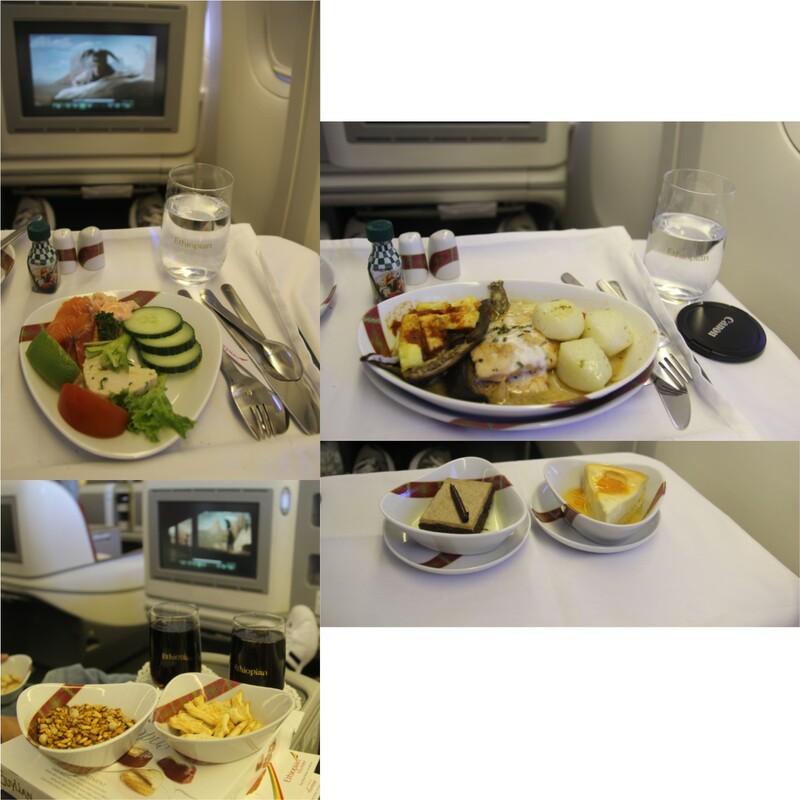 But we felt even fancier when we got on board the airline and saw EA’s international business class seating. 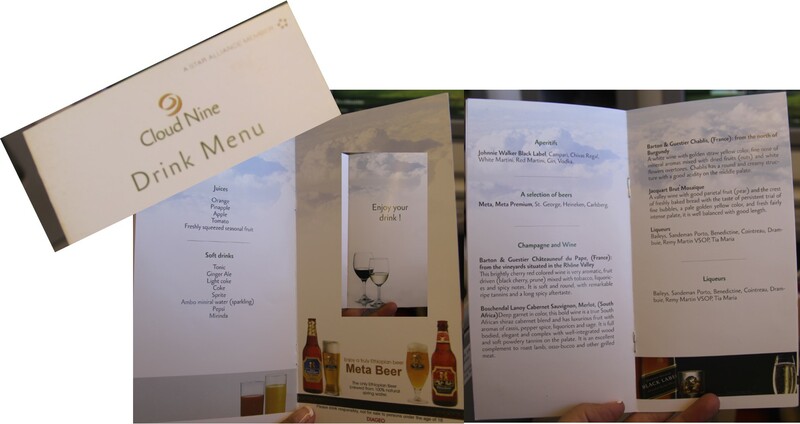 There were fancy schmancy menus, and the food was delicious. Snacks were a tasty blend of spiced seeds and crackers. Service was outstanding. 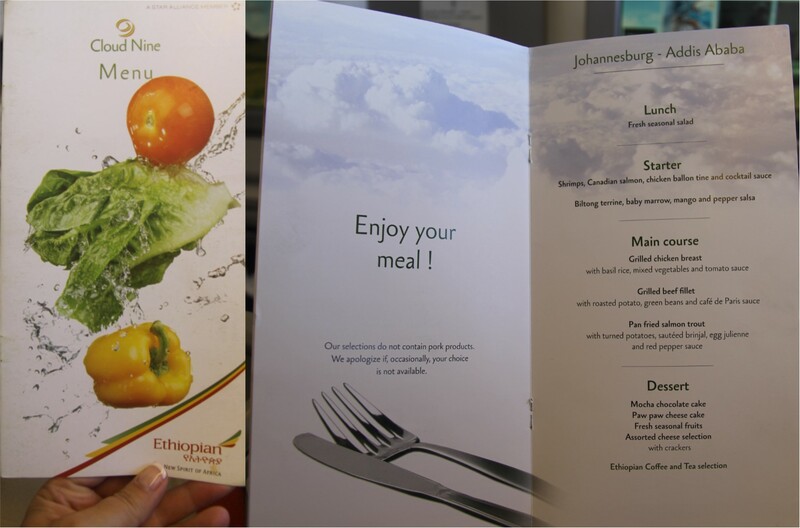 Ethiopian Airlines food business international. 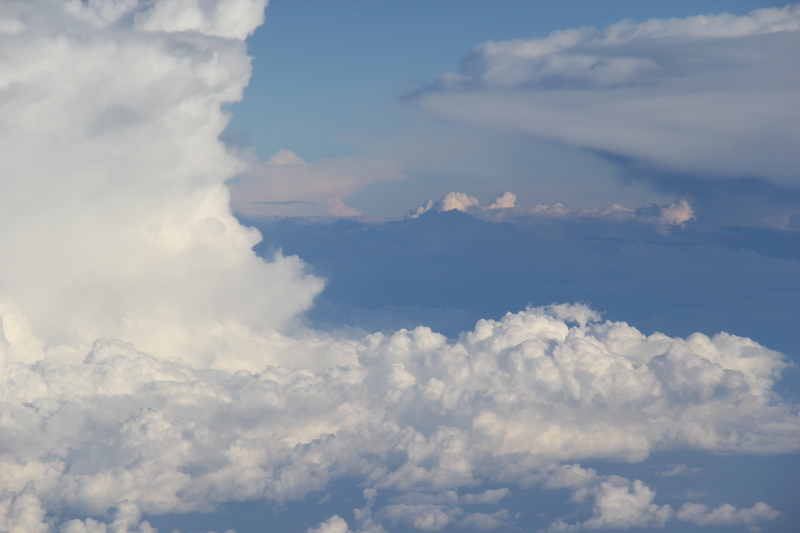 I love watching and photographing out the windows, so I was relieved that the window I had was relatively clean. If you’ve flown much and enjoy a window seat, you know how utterly dirty some windows are, and it’s not like you can reach outside and clean that crud off! It was already dark by the time we flew over Mt. 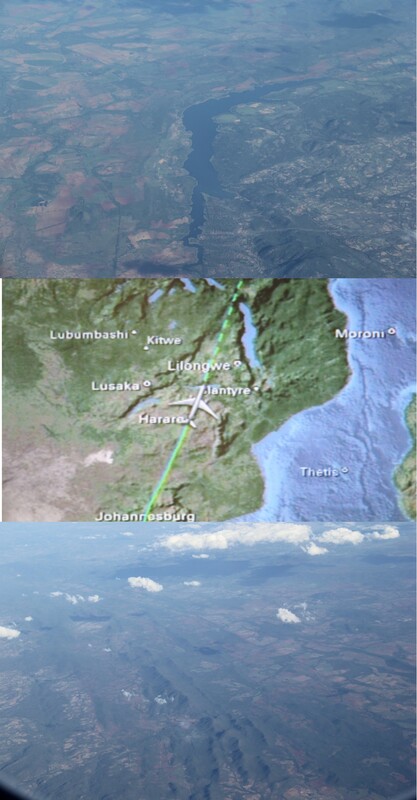 Kilimanjaro, so the only thing I could see were airplane beacons on some peaks. 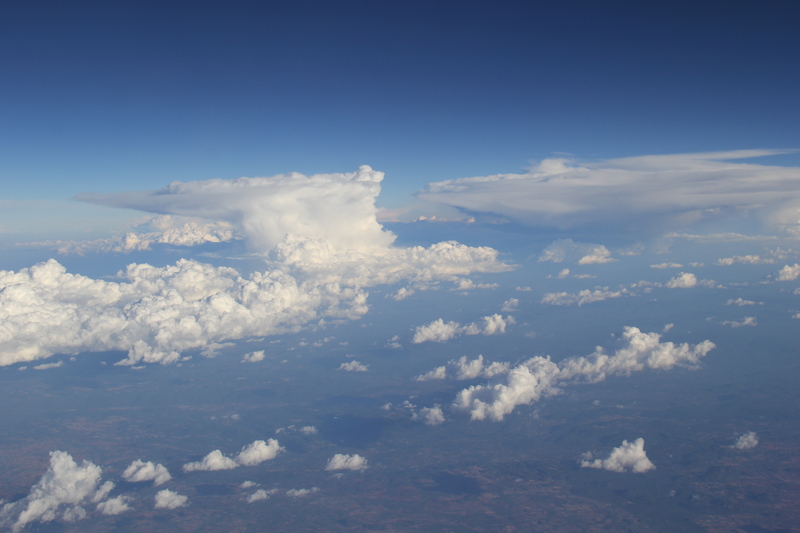 But I did get some nice photos over Zimbabwe as well as some of my favorite air photos: clouds. I thought you might enjoying sharing some of the views today. 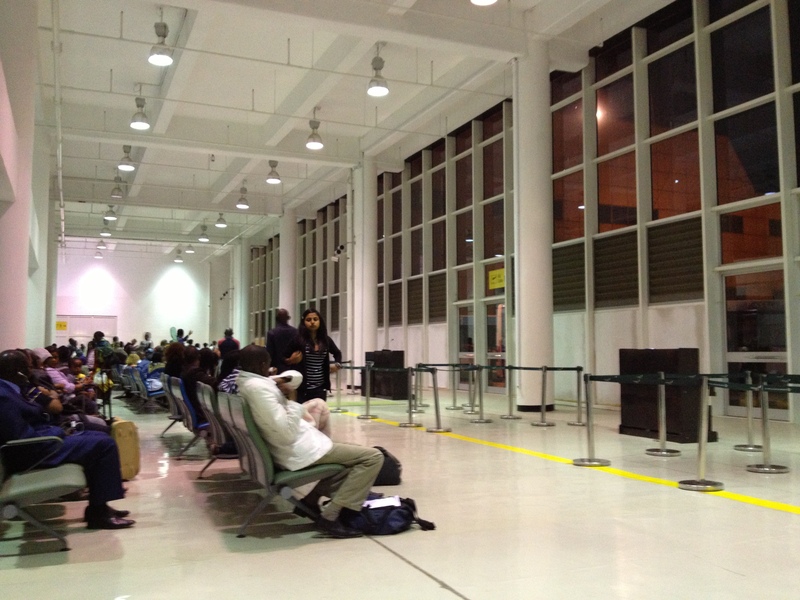 Addis Ababa Airport Tip #1: When transferring within the Addis Ababa airport, if you have an hour before boarding time, slow down when you reach the shops/market and explore. Because even traveling from one Ethiopian Airlines plane to another Ethiopian Airlines plane at a different gate (yes in the same terminal), you have to go through security again. This means if you pass the market and end up in another security line, you’re suddenly beyond the point of getting to explore the neat-looking shops and cafes in the airport. In Addis Ababa airport, they look similar to outdoor markets and I wish we realized it before we went through security and spent our two hours between flights staring at a large, cold, concrete room full of people while waiting for buses to take us to the runway to board our planes. But despite missing an opportunity for some cool Ethiopian souvenirs and a little “posh” lounging in Addis Ababa, we were happy to board the second leg, and enjoy more business class spoils for the remaining night flight to Dubai.